During a conversation with my spouse yesterday, I opined that I felt pop artist Andy Warhol’s argument of “In the future, everyone will be world-famous for fifteen minutes.” was a flawed observation……. Actually, I said he was talking out of his posterior……. Ok then I said arse! I backed this opinion up with the argument I don’t know anyone who has had a single minute of worldwide fame in their life……….. That is, unless fame entails having your picture in the Gateshead Post newspaper, for winning the Durham Senior Cricket League, as world-wide fame……. Or knowing someone who delivered a letter to ex-footballer Gazza’s house. Of course, Warhol didn’t mean his comment to be taken literally and my comments above were made tongue in cheek. Apparently, his reference was aimed at popular culture and the craving to be a celebrity, as he saw it in 1968. That is my understanding anyway. If he did mean it literally, I stand by my original comment that he was talking out of his arse. Karen was quite taken aback with my comments. Not only did she deem them disparaging and unnecessary, we weren’t even talking about Andy Warhol. 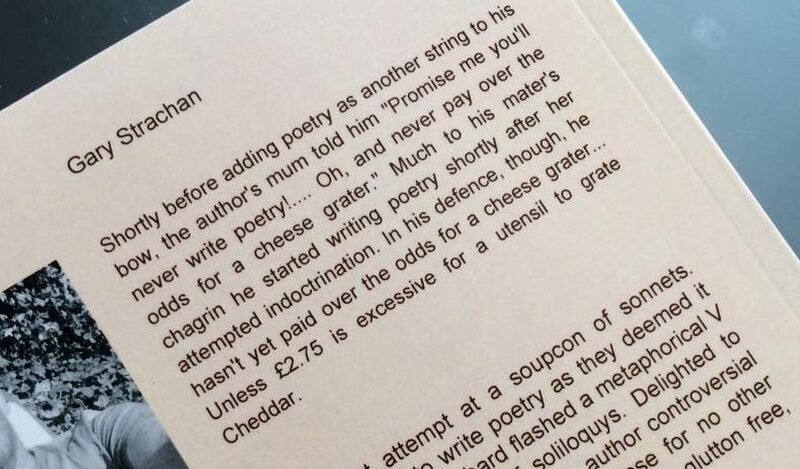 At the time we were having an argument about how Cheesestrings were produced…….. I still maintain she is wrong when she says the production process includes strips of cheese are glued together by a team of Oompah Loompahs. Anyway, I digress, back to Warhol’s famous sound bite about people’s craving for celebrity status. I was only five years old when the artist made this comment, so had no idea what the influential artist was alluding to. Additionally, I was too distracted by auditioning for the TV show Opportunity Knocks at that time to give it much attention. My mum wanted me to be a childhood star and achieve at least fifteen minutes of world-wide fame. Her plan was flawed, though, as the demand for my whistling act was low. My chances of getting my place in the limelight not aided by the fact my act entailed whistling one song from the musical West Side Story. Even at a very young age, I knew my mum’s hopes of me being hailed as the new Mickey Rooney weren’t helped by my performance entailing a solitary tooting of The Jet Song. After failing to become famous I was subjected to frequent parental torture by means of donkey bites, chinese burns and made to watch Malcolm Muggeridge programs. Unfortunately, back in the 1970’s there was no Childline or Esther Rantzen to reach out to stop this purgatory. Esther was too busy seeking her own fame in a TV career.. Her ambitions came to fruition in the 1970’s, when the toothy presenter secured the role of fronting the consumer affairs programme That’s Life. Amongst the many show presenters who assisted her over the years were a poet with a gammy eye, an actor from the BBC comedy It Aint Half Hot Mum and a piano playing lyricist who later wrote with Andrew Lloyd-Webber. They were random cast of characters who added humour to genuine consumer issues, in addition to the more offbeat tales. These quirky yarns included a cat that could play the piano, in addition or a dog that could say “sausages.”……. Not forgetting the cat that could play sausages and the dog who could say piano. They may not seem pretty mainstream now. However, prior to the days of YouTube, mobile phone clips and social media they were a real novelty. Unfortunately, the unusual act slot didn’t extend to a young boy who could whistle The Jet Song, so the diet of Malcolm Muggeridge programs, donkey bites and Chinese burns continued for yours truly. I’m writing this at my parents home. On reading the draft, my mum asked if I’d make it clear the mistreatment I refer to is fictional. If I don’t my dad’s going to give me a Chinese burn…………. Of course it’s fictional I had great parents. Oh shoot, they’ve just got the Malcolm Muggeridge box set out……. Britain’s Got Talent audition here I come!